The personal information on Facebook is becoming an important factor in marriage misunderstandings. Facebook was named as a major cause of divorce-online in 2011. Conflicts were caused by false assumptions, jealousy, embarrassment, stalker-like behavior. After Iceland broke from Denmark in 1944, it did only mere changes to its constitution. But by 2008 the Icelandic people wanted to change their constitution after they had financial troubles of losing their currency value and banks. A team of 25 people wrote the new constitution and put them on ‘FACEBOOK’ for users to make suggestions about the new amendments. Other social medias too were used and the new constitution was formed. Try it. It is sure to take you to his wall. If it is a bit complicated to remember try – www.facebook.com/4. 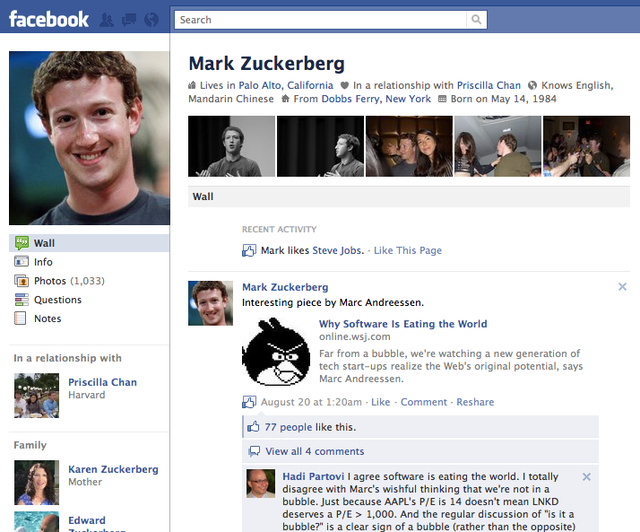 It is an easy way to go to the original Facebook wall that is purely owned by its creator. Adding 5 or 6 or 7 to the end of the URL, will take you to the other co-founders of Facebook - Chris Hughes, Dustin Moskovitz and Arie Hasit respectively. 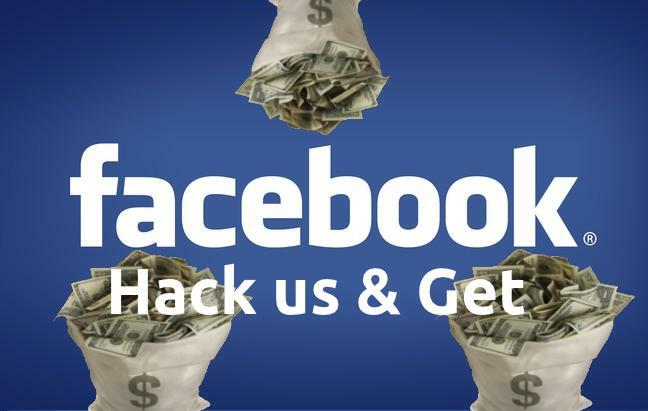 If you find an original bug within the Facebook software and system, they will reward you with up to $500. Only one bounty per security bug is given. This is done as a gesture of appreciation for their security researchers. This stupid crime occurred in Tennessee. Billy Clay and Billie Jean decided to de-friend Jenelle Potter on Facebook. In response, Jenelle’s father killed them both sparing their 8 month daughter from this madness. But this is not the first crime connected with facebook. A woman set a friend's garage on fire last year because of a similar thing. A man also was accused of hitting his wife for not"Liking" a post about the death of the man's mother. With today’s advancement in Photography, human communication through photos has increased drastically. The intended messages are shared using photos. Facebook’s library already contains 140 billion photos, which is about 100 000 times that of the Library of Congress and 4% of the photos ever taken. It has become more an addiction than alcohol and tobacco according to a study. 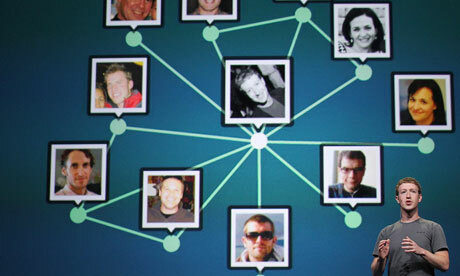 Facebook data scientist Lars Backstrom after scanning through 721 million users and excluding celebrity/miscellaneous fan pages, discovered that 99.6% of all random user pairs were connected by 5 people while 92% were connected by 4 people, concluding that the users are separated by only 3.74 people. in June 2011, a photographer from Cincinnati, Mark Byron was found guilty of civil domestic violence against his wife and she given a temporary protection order. Later in November, Byron posted on his Facebook page -"If you are an evil, vindictive woman who wants to ruin your husband's life and take your son's father away from him completely -- all you need to do is say you're scared of your husband or domestic partner and they'll take him away!" this went against his wives safety order and he had to go to jail for 60 days and pay a fine of $500 or pay back child support and post an apology to his Facebook page for 30 days. 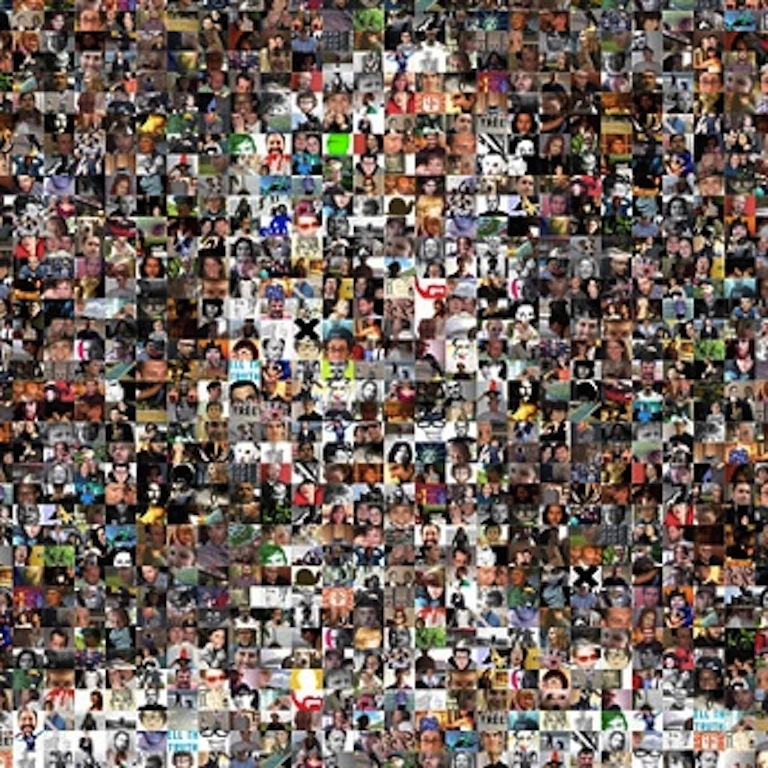 An average user changes his/her profile photo upto 18 times a year. Women are more regular changers than men about once every 2 weeks or once in every 3 weeks.